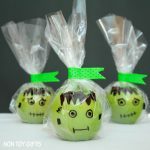 I usually try to add a handmade touch to the Halloween treats for kids school. 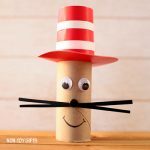 One year because my son was dressed up as Captain Hook, I made pirate hats for all his classmates. 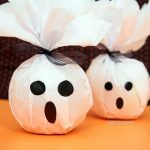 Another time I created Halloween bags. 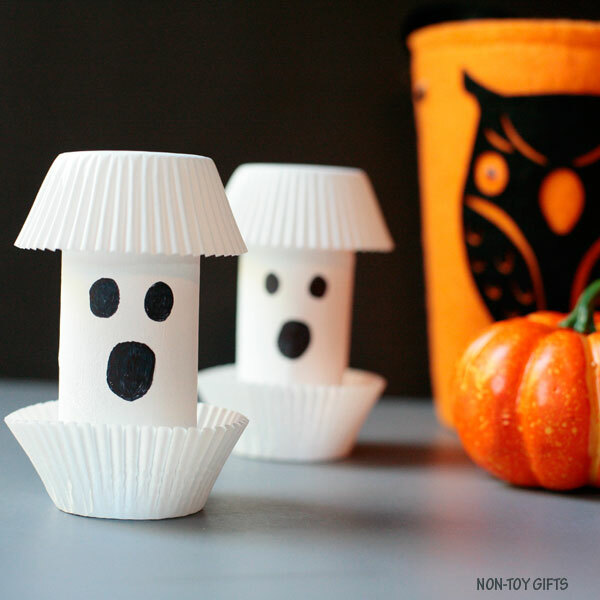 The idea of these ghost Halloween gifts came from a reader. 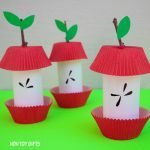 When she saw our paper roll apple core craft she suggested to apply the same technique to make paper roll ghosts. 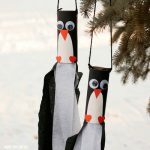 I loved her idea. 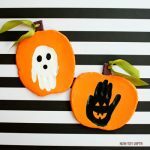 It’s a fun and easy craft for kids to make on Halloween. 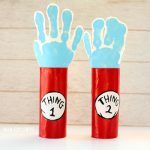 You can also fill them up with candy or non-candy treats (Check out our list of 25 non-candy Halloween treats). 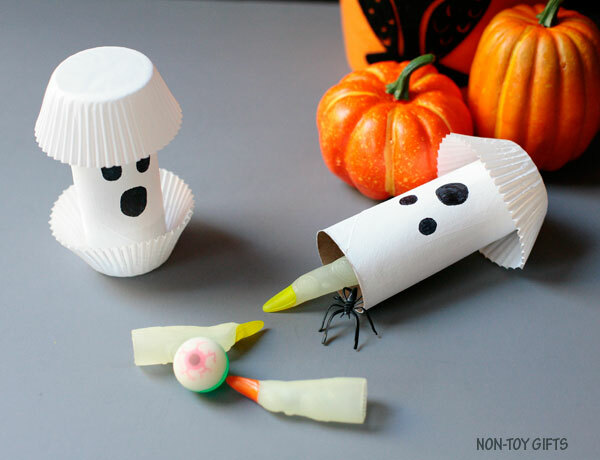 Step 1: Start by painting the paper rolls white. 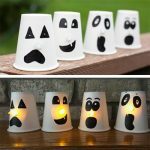 Wait for the first coat to dry and then apply another coat of white paint. 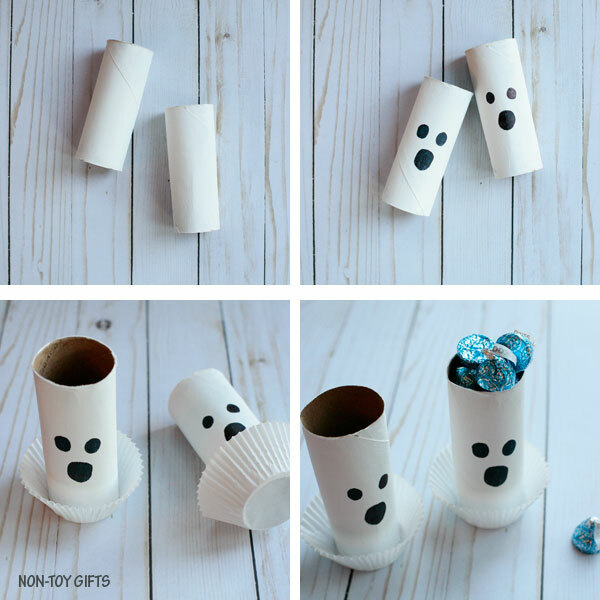 Step 2: Use a black marker to draw the ghost’ eyes and mouth in the middle of the paper roll. Step 3: Glue one cupcake liner at the bottom of the paper roll. 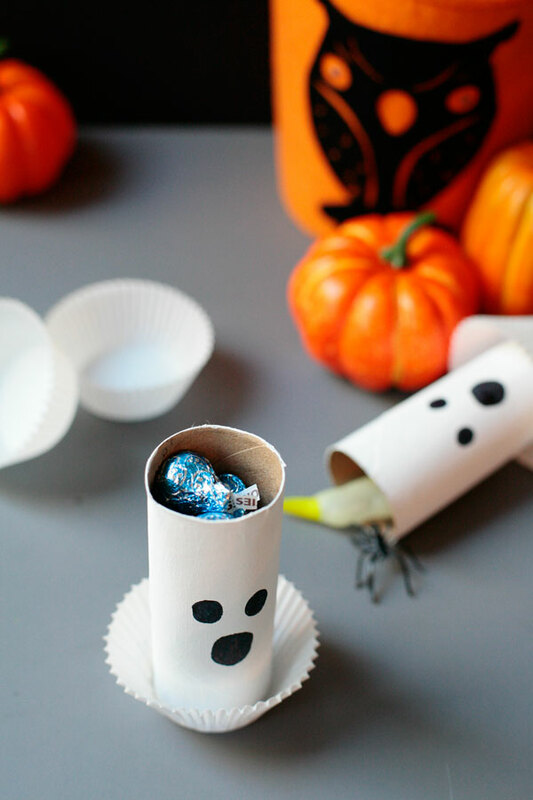 Step 4: Fill up the paper roll ghost with your choice of Halloween treats. Step 5: Glue a cupcake liner on top of the paper roll.